Distinguish 1994/5's The Cream Of Clapton (Europe) and The Cream Of Clapton (USA). UK television advert for "The Cream Of Eric Clapton" as aired on Channel 4, 23rd September 1987 can be found here. It's a good compilation of Clapton's body of work up until the mid 80's, and the cover/packaging is a very good looking and sturdy gatefold. The record itself is the thinnest piece of plastic I've ever seen, apart from flexidiscs (it bends if I hold it by the edges, that's how it flimsy it is). Not every record needs to be 180 or 200 grams, but come on... 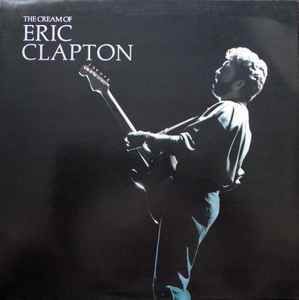 Otherwise, a good introduction to Clapton's music, which can be found very cheap and doesn't sound bad.